Research has produced promising results for some complementary health approaches for tension headache or migraine. For other approaches, evidence of effectiveness is limited or conflicting. 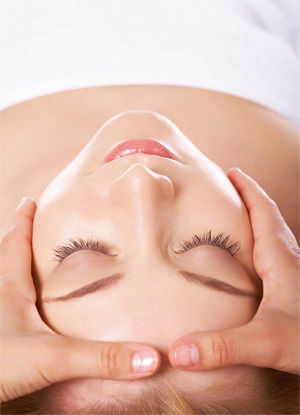 Mind and body approaches that have been studied for headache include acupuncture, biofeedback, massage, relaxation techniques, spinal manipulation, and tai chi. There have been many studies of acupuncture for headache. 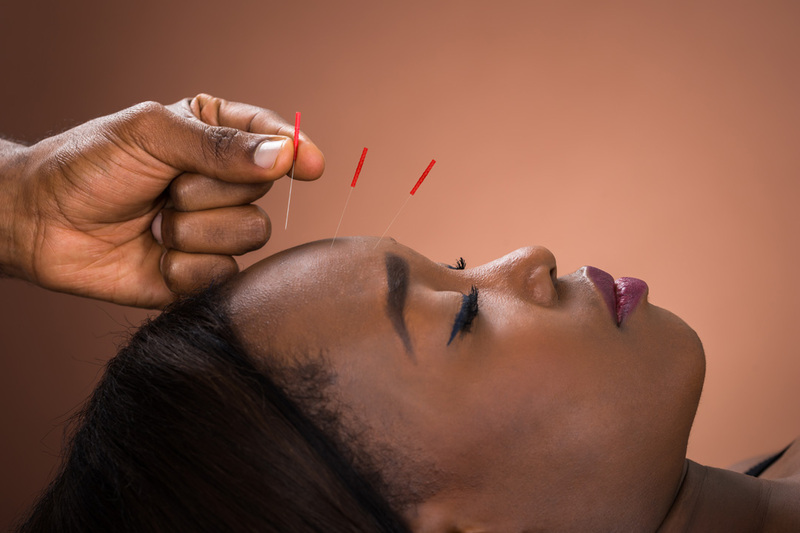 The combined results from these studies indicate that acupuncture may help relieve headache pain, but that much of its benefit may be due to nonspecific effects including expectation, beliefs, and placebo responses rather than specific effects of needling. Biofeedback measures body functions and gives you information about them so that you can become more aware of those functions and learn to control them. For example, a biofeedback device may show you measurements of muscle tension. By watching how these measurements change, you can become more aware of when your muscles are tense and learn to relax them. Several types of biofeedback have been studied for headaches, including techniques that help people learn to relax and more specific techniques that focus on changes that occur during headaches. Tension headaches. Many studies have tested biofeedback for tension headaches, and several evaluations of this research have concluded that biofeedback may be helpful. However, an evaluation that included only the highest quality studies concluded that there is conflicting evidence about whether biofeedback is helpful for tension headaches. Migraines. Studies have shown decreases in the frequency of migraines in people who were using biofeedback. However, it’s unclear whether biofeedback is better than a placebo for migraines. Biofeedback generally does not have harmful side effects. Limited evidence from two small studies suggests massage therapy is possibly helpful for migraines, but clear conclusions cannot be drawn. Massage therapy appears to have few risks when performed by a trained practitioner. However, people with health conditions and pregnant women may need to avoid some types of massage and should consult their health care providers before having massage therapy. Although some experts consider relaxation techniques to be promising for tension headaches, there isn’t much evidence to support their effectiveness. An evaluation of high-quality studies on relaxation techniques found conflicting evidence on whether they’re better than no treatment or a placebo. Some studies suggest that relaxation techniques are less helpful than biofeedback. Relaxation techniques generally don’t have side effects. However, rare harmful effects have been reported in people with serious physical or mental health conditions. Spinal manipulation is a technique in which practitioners use their hands or a device to apply a controlled force to a joint of the spine. Chiropractors or other health professionals may use this technique. Spinal manipulation is frequently used for headaches. However, it’s uncertain whether manipulation is helpful because studies have had contradictory results. Side effects from spinal manipulation can include temporary headaches, tiredness, or discomfort in the area that was manipulated. There have been rare reports of strokes occurring after manipulation of the upper (cervical) spine, but whether manipulation actually caused the strokes is unclear. For risks associated with spinal manipulation affecting the cervical spine, see the NCCIH fact sheet Chiropractic: An Introduction. Tai chi, which originated in China, combines meditation with slow, graceful movements, deep breathing, and relaxation. One small randomized study has evaluated tai chi for tension headaches. Some evidence of improvements in headache status and health-related quality of life was found among patients on the tai chi program compared to others on a wait list. These data are too limited to draw meaningful conclusions about whether this practice is helpful for tension headaches. Tai chi is generally considered to be a safe practice. Several dietary supplements have been studied for headaches, particularly for migraine prevention. In 2012, the American Academy of Neurology and the American Headache Society issued evidence-based guidelines that classified certain dietary supplements as “effective,” “probably effective,” or “possibly effective” in preventing migraines. Their findings regarding effectiveness of specific supplements are summarized in the next sections. Also included are brief summaries of evidence on the safety and side effects of each supplement. In their guidelines for migraine prevention, the American Academy of Neurology and the American Headache Society concluded that butterbur is effective and should be offered to patients with migraine to reduce the frequency and severity of migraine attacks. The most common side effects of butterbur are belching and other mild digestive tract symptoms. Raw butterbur extracts contain pyrrolizidine alkaloids, which can cause liver damage and cancer. Extracts of butterbur that are almost completely free from these alkaloids are available. It is uncertain whether butterbur products, including reduced-alkaloid products, are safe for prolonged use. Coenzyme Q10 is an antioxidant that cells need to function properly. It’s available as a dietary supplement and has been studied for a variety of purposes. The guidelines from the American Academy of Neurology and the American Headache Society say that coenzyme Q10 is possibly effective and may be considered for migraine prevention. No serious side effects of coenzyme Q10 have been reported. It may interact with some medications, including the anticoagulant (blood-thinning) medication warfarin (Coumadin). The guidelines from the American Academy of Neurology and the American Headache Society say that a specific feverfew extract called MIG-99 is probably effective and should be considered for migraine prevention. Side effects of feverfew may include joint aches, digestive disturbances, and mouth ulcers. It may interact with anticoagulants (blood thinners) and some other medications. Feverfew is not safe for use during pregnancy. Its long-term safety has not been established. Magnesium deficiency is related to factors that promote headaches, and people who get migraines may have lower levels of magnesium in their bodies than those who do not. The guidelines from the American Academy of Neurology and the American Headache Society say that magnesium is probably effective and should be considered for migraine prevention. Magnesium supplements can cause diarrhea and may interact with some medications. Because the amounts of magnesium people take for migraines are greater than the Tolerable Upper Intake Level for this mineral (the largest amount that’s likely to be safe for almost everyone), magnesium supplements for migraine should be used only under the supervision of a health care provider. The American Academy of Neurology and American Headache Society’s guidelines say that riboflavin is probably effective and should be considered for migraine prevention. Riboflavin has minimal side effects, but it can cause an intense yellow discoloration of the urine. NCCIH is supporting several studies of complementary health approaches for headaches.